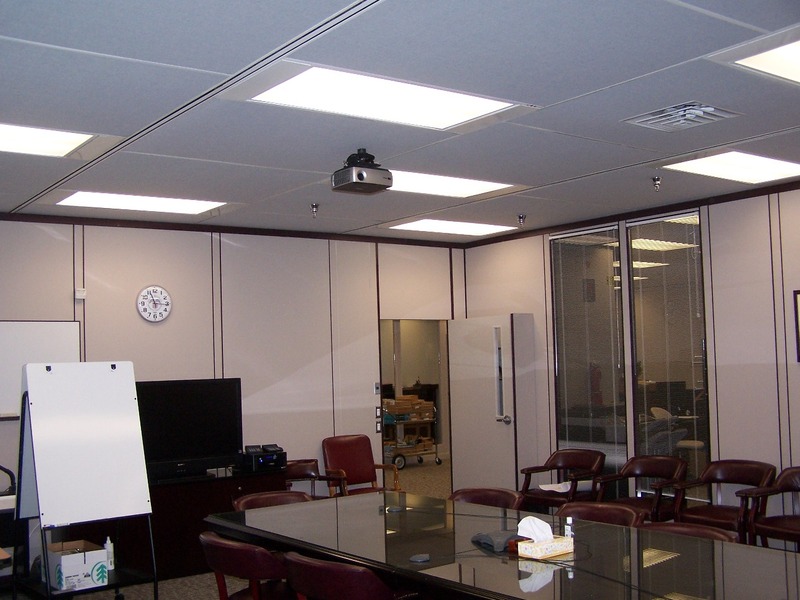 Softex Plus Oversized Ceiling Panels - InterSource Specialties Co.
Softex Plus Ceiling Panels are simply traditional fiberglass ceiling tiles. The core material is a 2-3 lb density fiberglass with a non-perforated White or Black Vinyl or Fabric on the face. 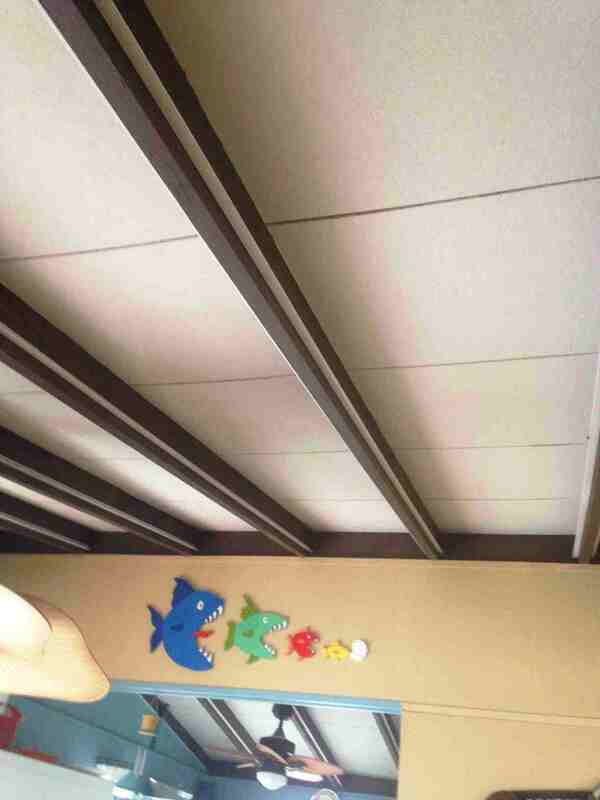 The facings give the customer the option to have a smooth, washable surface (vinyl) or premium acoustics and 48 different standard color options (fabric). 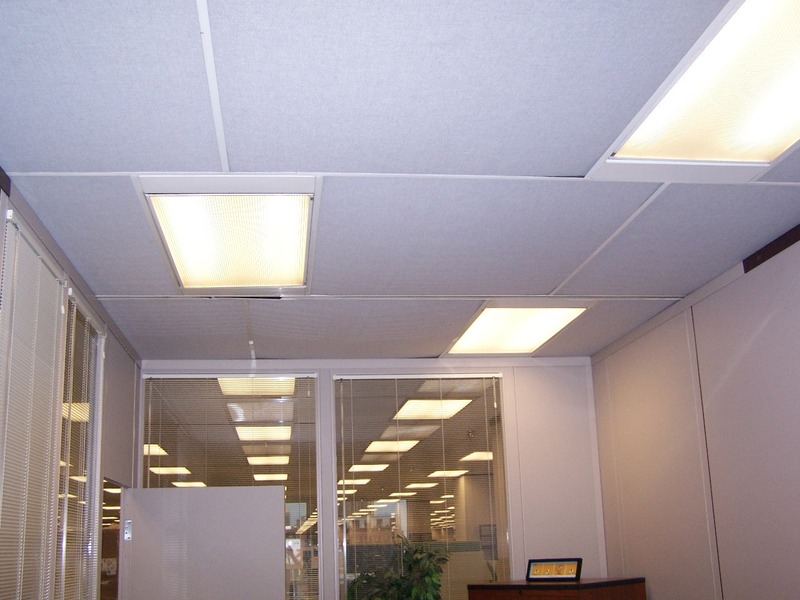 However, Softex Plus differs because we make them any size up to 5′ x 5′ to order. 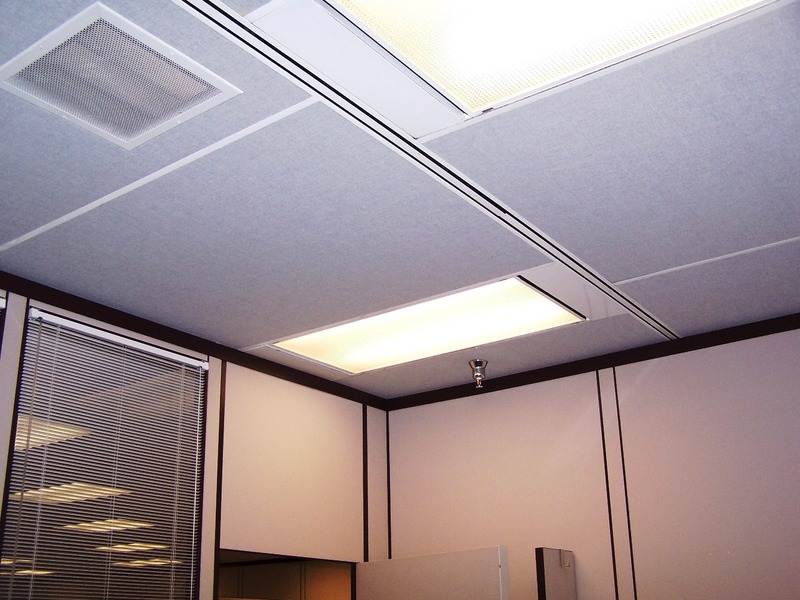 ISC has the capability to make custom panels to any size to fit custom lay-in applications. Popular sizes include 2′ x 5′, 2.5′ x 5′, 4′ x 4′, and 5′ x 5′. 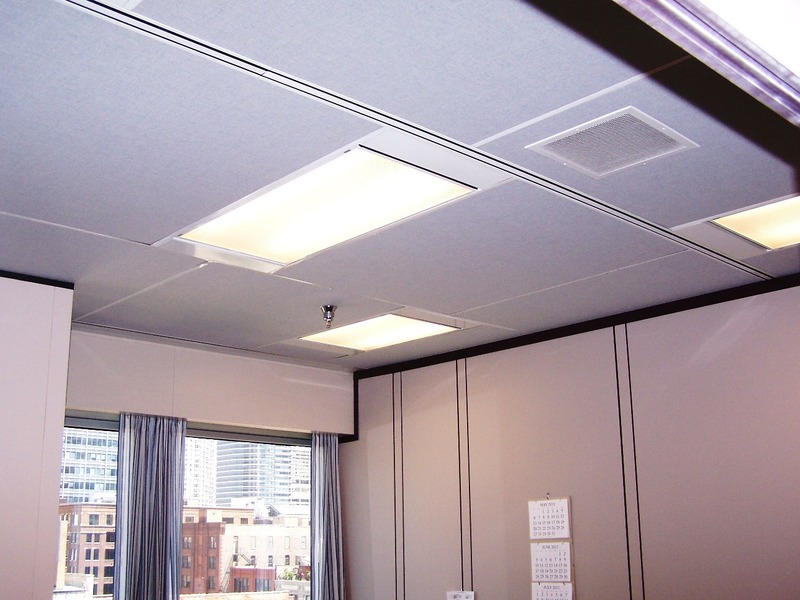 Any other custom size is available as well upon request and the panels come in a variety of thicknesses starting at 1″ and going upwards of 3″ thick. Call one of our Sales People today to discuss your custom job today! Variety of thickness and sizes including custom and metric. 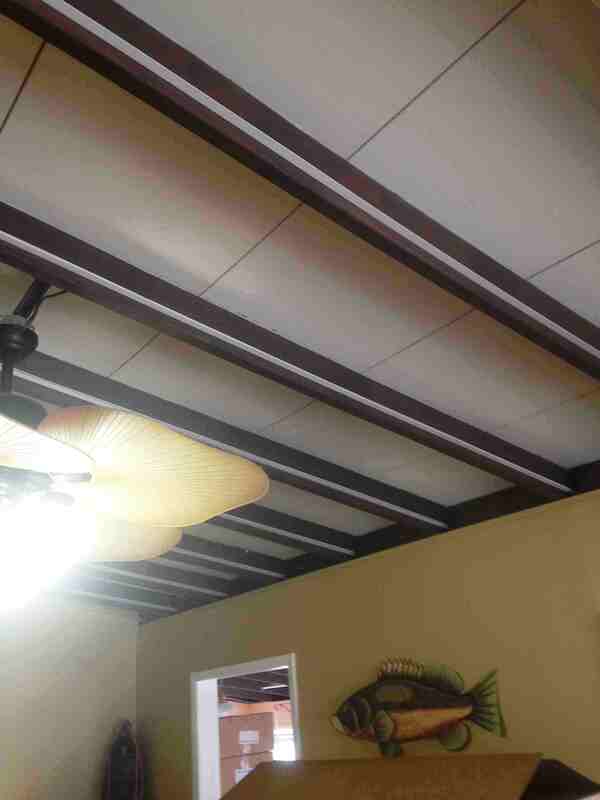 High R value; panels insulate and save energy. 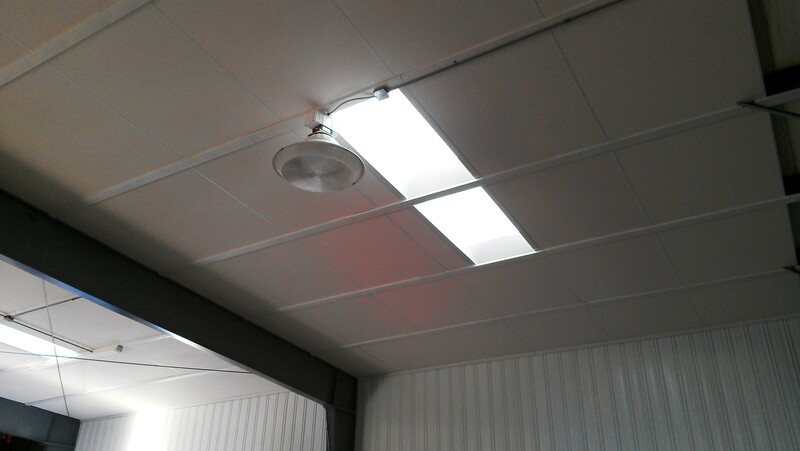 Can be installed during “wet” phases of construction. Standard 25 Year Limited warranty.